Places to eat in Bristol | Eat Unique. Celebrating independent restaurants in the Bristol area! Marco’s Olive Branch Italian restaurant and bar offers the finest traditional Italian food and Sardinian cuisine in Bristol, located on Victoria Street just a stones throw away from Bristol Bridge and the vibrant Bristol city centre. The name ‘Raj Bari’ means ‘Kings Home’ – appropriately so, as we aim to provide an Indian meal that is fit for a King! Today the Raj Bari is known by many people of the Bristol community and we also take pride in the thought that customers even travel from other Cities and Towns to dine in the Restaurant. 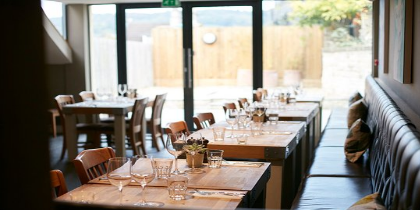 The Cowshed came about because there seemed to be a gap in the Bristol market for a restaurant that served good, simple, British food, in a relaxed environment, particularly one that put an emphasis on quality local produce. Discover the pleasures of freshly home made Greek food. Our prices are affordable and trying traditional Greek cooking couldn’t be easier with our grill and take away. 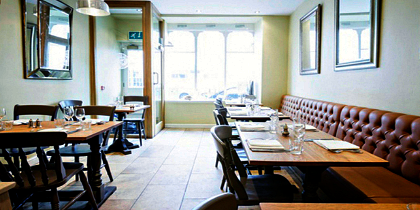 Bulrush is a neighbourhood restaurant located on the borders of Cotham/Kingsdown, serving innovative Modern British food. Our menus reflect the seasons, and include a variety of foraged ingredients from common hedgerow to sea vegetables. 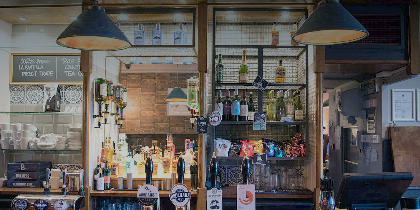 The Three Brothers concept is simple, great burgers and an ever changing and extensive range of craft beers and ciders. 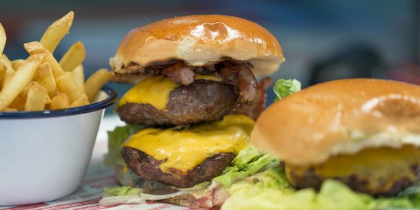 After opening in the Spring of 2014, Three Brothers Burgers is now fully established in its picturesque Harbourside spot, the former site of Spyglass. Looking for great restaurants in and around Bristol? There are plenty to choose from! Whatever your preference…English, European or Eastern, there are lots of options to suit every pocket. Bristol’s restaurant scene continues to flourish because it is such a great place to visit with so many events, activities and festivals throughout the year. Eat Unique is pleased to promote a number of restaurants in Bristol that are independently owned and independently run. Managed by the same team that operates Quoakle and the UK Days Out directory, Great Days Out.